Welcome to the Podium Online, the official Publication of Kappa Kappa Psi and Tau Beta Sigma. Here, we post articles from National Officers, our Board Members and students/alumni who contribute from across the country. For more information about Kappa Kappa Psi and Tau Beta Sigma, feel free to visit our National HQ website at kkytbs.org. For now, though, continue to roam around our site, comment on some of our articles and learn more about what our brothers and sisters do through our students, alumni and officers! Thanks for visiting! [dropcap style=”font-size: 60px; color: #0099FF;”]T[/dropcap]he Gamma Alpha Chapter of TBΣ is presently minus one pledge-trainer and very active member, but currently basking in the honor of having lost her to the nation, as Debbie Barnes continues her reign as “Miss America, 1968.” Initiated into the Sorority on April 28, 1966, Debra Dene Barnes plays principal French Horn in the Kansas State College Concert Band, and takes a lively interest in the activities of the “Pride of the Plains” Marching Band. Miss America 1968 also plays baritone horn and trumpet, and her proficiency on piano helped win for her the coveted title she now holds. An enthusiastic, active and loyal supporter of all KSC musical activities, her position in the marching band has been respectfully reserved by a “pride” Bandsman, who wears a sign reading “This is Debbie’s Place” on parade. A fine musician, the KSC Band misses her artistry in the French Horn section, but looks forward to welcoming her back at the close of her reign as the nation’s ideal young woman. On a recent visit to her Alma Mater in October for the first time since she began her reign, thousands of fourstate area residents, KSC students and local Pittsburg residents were on band to watch a downtown parade composed of floats, bands, Miss Kansas, Miss Pitt-State, and, of course, Debbie. Following the parade a reception was held for our Sorority Miss America in the KSC Student Union. There everyone got to meet her personally, and sample some of the charm, poise and grace ·that won for her national recognition. Later in the afternoon, Debbie gave a piano concert in McCray Hall, now billed as “The Musical Home of Miss America”. She performed the Rubinstein Concerto, and her own “Born Free”, which was played at both the Miss Kansas and Miss America Pageants. Born in Moran, Kansas and the daughter of a farm implement dealer, Debbie is also known on campus as a leader in several scholastic and honorary organizations. She has been on the All-A Dean’s Honor Roll four semesters, as well as being Miss Pitt-State and Miss Kansas, all the while pursuing her studies as a music major. The Gamma Alpha Chapter and the entire Sorority can take pride that an. initiated Sister and a member of a fine college band has been chosen as this nation’s “ideal” of young womanhood. 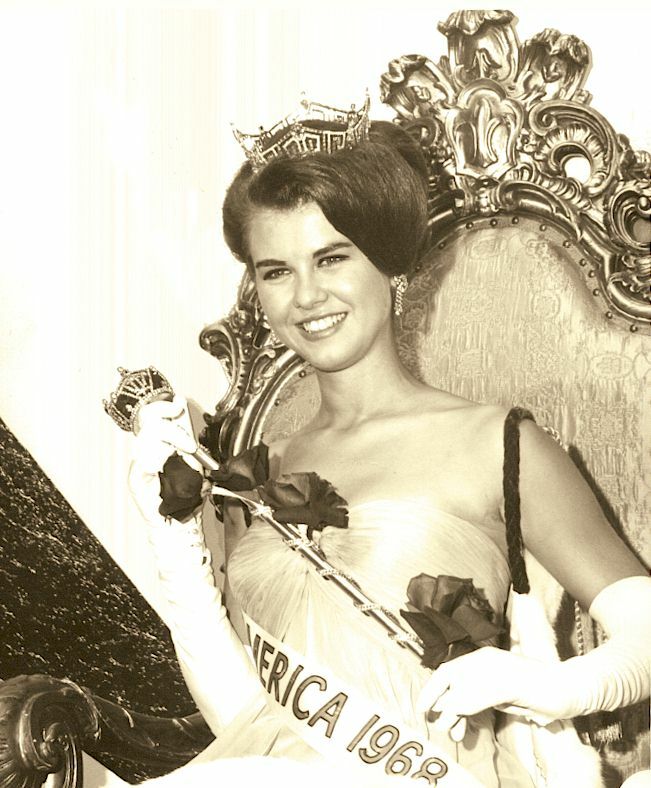 Poised, self-confident, warm, friendly, beautiful and talented, TBS salutes Debra Dene Barnes—our “Miss America 1968” as well as the nation’s – and wishes her a wonderful and event filled reign! Your Spring 2014 Podium is HERE!